Last week’s Draw the Law post I discussed buying a business or into an established franchise, but let’s go back to the original proposition you started your own business now you are looking for a place to settle. Where am I going to sell by service and/or products? Do I need an office Downtown? 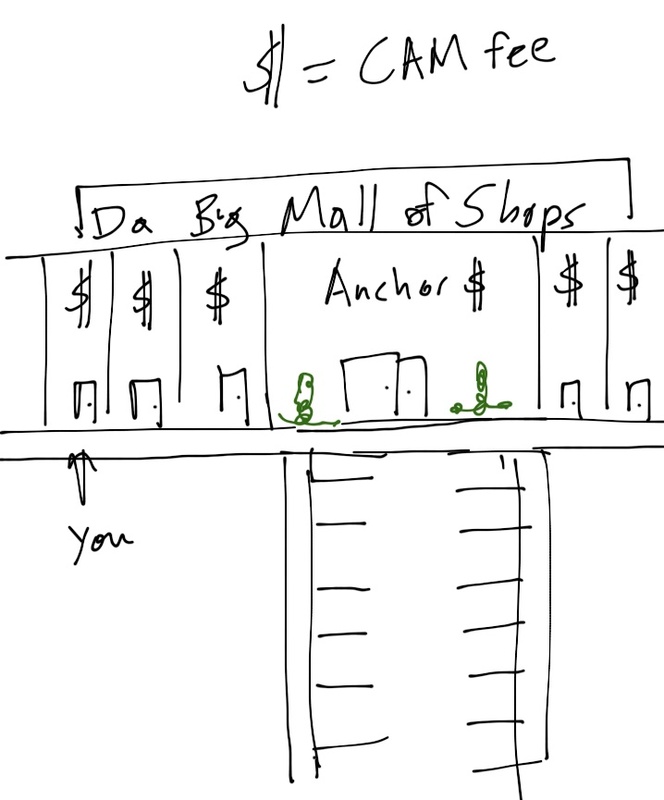 Or a retail space or warehouse in Kaka’ako? That kind of determination will be largely based on what type of industry you are in. Moreover, a business planner and market researcher can help you narrow down a location suitable for you needs. Today is mainly about commercial leases and some of the terms and clauses you will see in such agreements. For the vast majority of small businesses here you will probably get a commercial space of some sort. While, each location you look at for your office or retail space will have some different considerations there are some basic clauses that landlords like to throw at you to legally bind you into some one-sided arrangements. Remember that whether the lease is a generic “one-size fits all” or a custom one, that an attorney probably helped the landlord create it. You also have the option of having an attorney review the lease and go over it to help your negotiating position. In addition, one only need join me on my running route through King St. to realize that there are a lot of open spaces right now (2011). So some of the following terms and clauses that I will discuss are negotiable, as the landlord would rather have someone fill the space than leave it empty. Base Rent – what does it cost you to use the property for your business? It is calculated by taking the square footage of the space and multiplying it by a set dollar amount. Remember that the usable amount of square footage will be less than the base square footage. Additional Rent – wait, what is this “additional rent”? This is a place for negotiating or determining if your landlord is trying nickel and dime you. It is usually a catchall term to include a lot of extra things that base rent does not capture. Ask and have the landlord define this term and spell out what it includes. Does it include taxes, insurance, and/or utilities or are those in the base rent? Operating Expenses – this is another clause whether the landlord or property manager will try and past off the expenses to you. Watch out for the phrase “without limitation” and if you are in a mall don’t let them try and pass on a higher common area maintenance (CAM) rate to you because they gave a lower rate to an “anchor” store. As a small business you do not want to be paying the same or more to maintain the common areas that are more trafficked by the big box stores. Parking – does parking come with the space? Do you have to maintain it? Do you get parking for the duration of the lease or can the landlord/property manager change at will? Parking is a premium in this state and you need to know if you are going to have it for you, your employees, and customers or you will have to come up with other solutions. 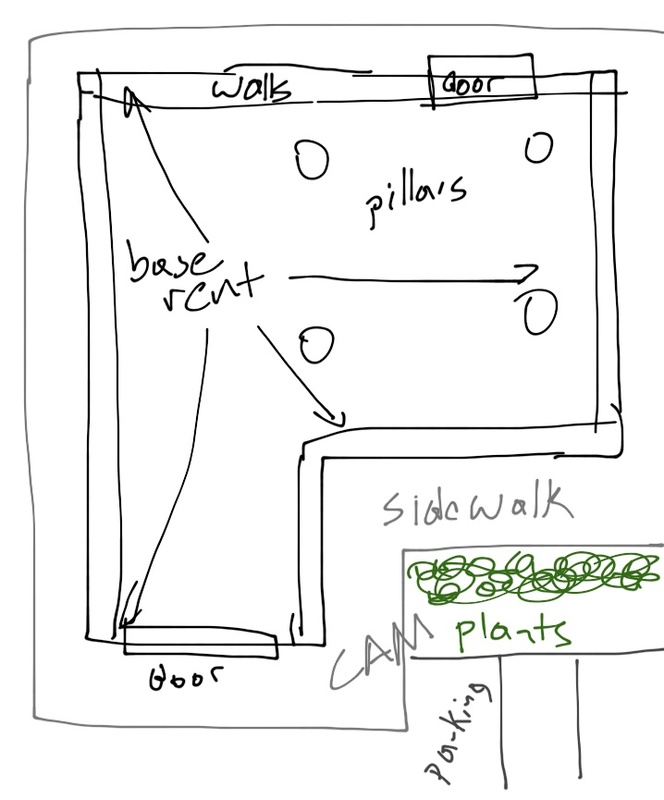 Option to Expand – can you knock down a wall and add the space to yours? Termination – do you have a way to extract yourself? A landlord is reluctant to let you go if they have extracted a lot of assurances and money from you. If you terminate early that usually messes up their projects and it takes time to find another tenant. They may force you to accelerate payment if you terminate early. Use – you will state how you will use the space, don’t be too specific and use general terms. You don’t want to pigeonhole yourself. ADA Compliance – is the building compliant with the American Disabilities Act (ADA) and if it isn’t is the landlord trying to pass on some of those costs to you? Signage – what are the requirements and restrictions of the use of signs for your business? There are still other terms and clauses to be on the watch out for, like tenant improvements, occupancy and commencement, relocation,, option to renew, and the security deposit. Be mindful of state and city and county level requirements, such as zoning restrictions and requirements of spacing. You may have a landlord try and lease you a space for a food business knowing full well you will not be able install a require grease trap or venting system, and then you would be stuck. In general, if you do not understand something ask the landlord for an explanation of clarification. If they are not being helpful seek out expert advice. This is your lease and your business will be tied to the location for a significant amount of time. You do not want to be stuck in a position with unfavorable terms due to the lease and unable to move or do anything about it. In addition, ask some of the current tenants what their feelings are dealing with the landlord or property manager. Find out if you would be dealing with a landlord who does their job or is an absentee who just collects the rent. 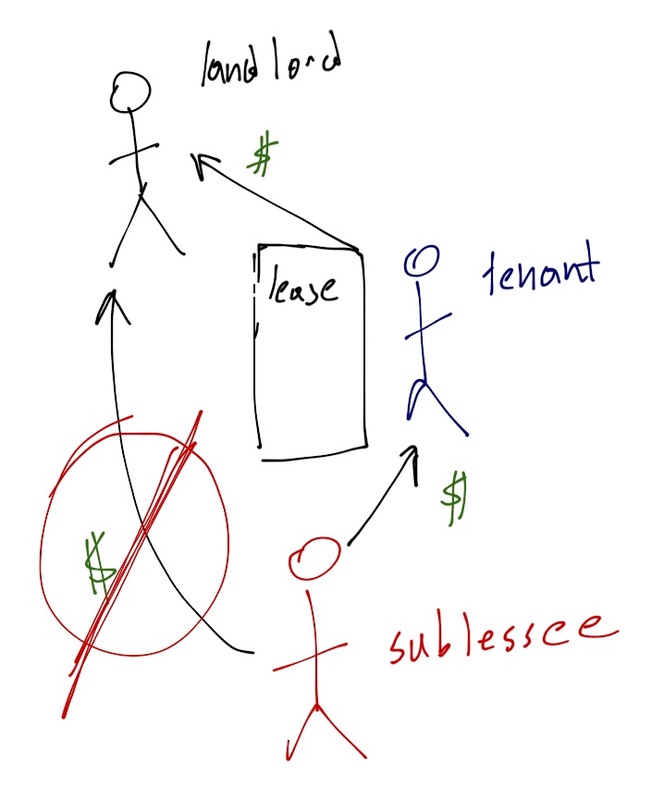 If you are leasing from a tenant, then you are subleasing. You would be the called sublessee. Your agreement is with the tenant and does not put you into connection with the landlord. This has certain ramifications. The legal agreement is between the tenant and the landlord, therefore if the tenant fails to pay the landlord cannot come after you. Even though, you are subleasing from the tenant you should still ask to see the main lease agreement. Why? Whatever, is affecting the tenant will then trickle down and affect you. In addition, trying to sublease to you may be a violation of clause in the lease agreement or there may be stipulations on how to sublease. By subleasing the space out the tenant acts like a competitor to the landlord. Remember, you can always arrange for a sublease yourself and become a mini-landlord. However, you would have to make sure that you are collecting payments for your sublessee and paying your landlord on time. If not you would be the one in default and the landlord would come after you. In general, lease agreements will always be lengthy documents with a lot of clauses that will probably not work in your favor. However, with so many rental spaces available right now (2011) you should try to negotiate to get the best deal as possible. This requires a lot of reading, researching, and even talking. Find out what is going on around the area and not just the building. Also be aware that the broker may actually be representing the landlord, so make sure you get your own expert on your side. Bottom line: be aware of what you are signing! Next time I will discuss about owning a property for your business and using your home as your primary business location. Don’t forget if you enjoy this series or any of the other series on my blawg feel free to subscribe in the right-hand corner of this page to receive e-mail updates on posts. If you are on Facebook be sure to “Like” “Ryan K. Hew” to get updates there as well.